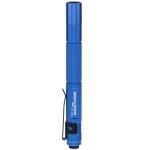 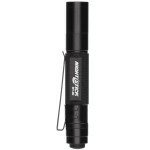 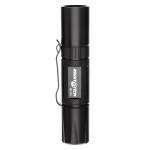 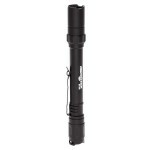 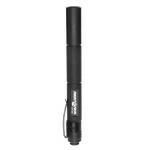 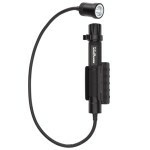 This Mini-TAC Pro light uses an LED and has a deep parabolic reflector creating a tight, long throw beam for distance illumination. 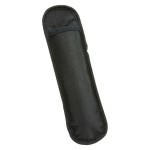 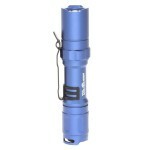 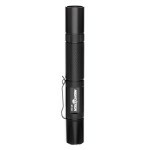 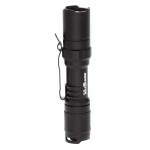 With a waterproof design, it is constructed from aircraft-grade 6061-T6 aluminum with a Type III hard anodized finish. 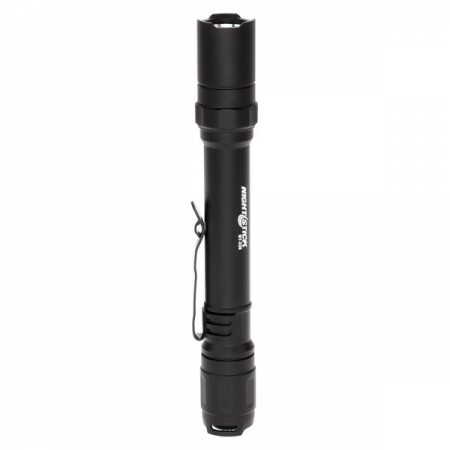 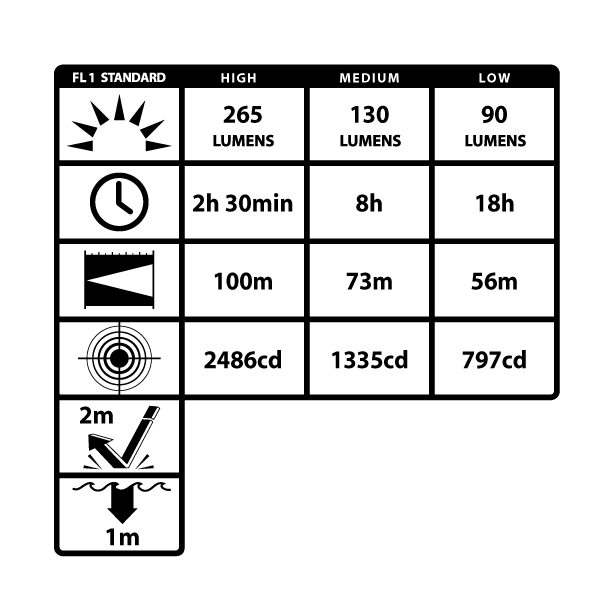 The tail switch provides momentary or constant-on functionality, a set of user-selectable high, medium or low-brightness settings as well as a disorienting strobe. 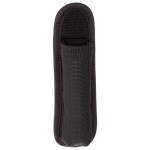 The light comes with a removable pocket clip and is powered by 2 AA batteries (included).